What Do Rotarians Do? We effect positive change in our communities through District Community Grants. Vocational Service is easy to describe: It is simply the point where our Rotary lives and our professional lives intersect. When we put our Rotary ideals to work through our work, that is vocational service. The Global Polio Eradication Initiative (GPEI) is a public-private partnership led by national governments with five key partners, one of which is Rotary International. Rotarian Action Groups are international groups of Rotarians, family members, program participants, and alumni who are experts in a particular field or passionate about topics such as microcredit, peace, the environment, water, and many other topics. What Do Rotarians Do? We work together to solve complicated problems by combining our individual expertise and effort, and by using the money we donate to our Foundation, to accomplish change around the world. We fund 70 million dollars in grants each year around the world, from small local grants to large, complicated ones focused on resolving some of the world’s most intractable problems..
We Welcome Rotary Alumni and New Members! Rotary Alumni are people who have previously been involved in some aspect of Rotary International, but who are no longer active. If you’ve previously been involved in some aspect of Rotary but are no longer active, for one reason or another, we’d like to welcome you to a meeting of our Club. And, if you've not been previously involved in Rotary but would like to know more ab out who we are and what we do, read on! What Do Rotarians Do? We Promote Peace! Rotary is dedicated to six areas of focus to build international relationships, improve lives, and create a better world to support our peace efforts and end polio forever. Chief among these causes is our promotion of peace. The Rotary Friendship Exchange - Where in the world do YOU want to travel? Where in the world do YOU want to travel? We're looking for ideas. Please provide comments. Would love to hear from you and potentially open the world to more Rotarians experiencing the gift of Rotary Friendship Exchange (RFE). As we enter into a season that often reunites us and brings us close to friends, families, and memories of holiday seasons past I want to wish you a memorable festive season. This is also a time of year when we see and feel Rotary everywhere--- ‘Giving Tree’ projects, coats for kids, turkey dinners in schools, food hamper collections, concerts, Salvation Army kettle assistance, shoebox care packages ……the list is impressive and seemingly endless. We are indeed ‘Rotarians of Action’! The Chimacum High School Interact Club will sponsor the Santa Booth again this year on Saturday, December 8th and Sunday, December 9th, 2018 during the Chimacum Arts and Crafts Fair from 10 am - 4pm each day. 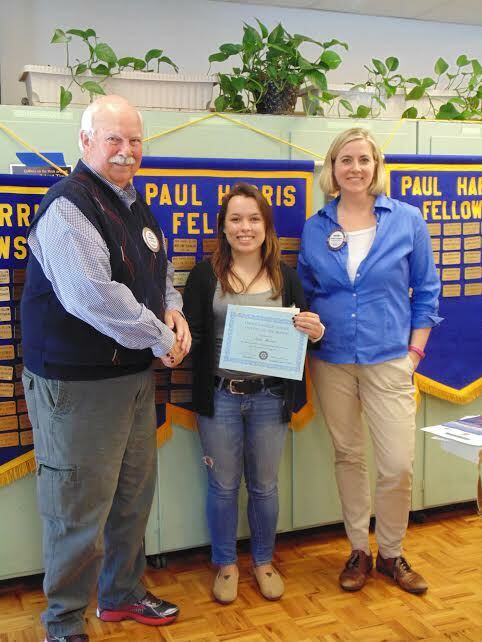 A key Club goal this year is to earn the Rotary Citation with Platinum Presidential Distinction. We must complete qualification by June 30th, 2019. Just seven percent of Rotary Clubs earn the Rotary Citation in any given year. We’ve earned the award three times so far - in 2014, 2016, and in 2018. This past week, the Club’s Community Grant Committee approved a grant of $942.50 to the Chimacum School District. The intended beneficiaries of the Grant are the 350 children served by the Jefferson Teen Center annually. These children range from 12-18 years old, though most are of middle school age. 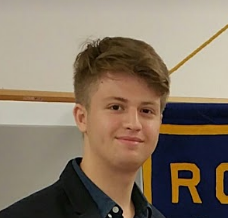 The grant will benefit children attending Chimacum Schools by improving the physical capacity of the Teen Center to support its beneficiaries, by providing expanded mentoring and adult support to these children within the Teen Center mission, and by involving Rotarians in these activities. We asked the Jefferson Teen Center Director, Shayann Hoffer, for a list of the materials needed by the Teen Center not covered by the DCG. The Teen Center is an IRS-recognized 501.c.3 non-profit, (tax ID #91-1561993) so they can provide acknowledgement of your donations for tax purposes, if desired. If you do donate materials, please let Pete or John know so they can record the donation as part of the Club’s support of the Jefferson Teen Center. Art Supplies: such as paint (watercolor, acrylic & tempura), brushes (variety sizes), paper (variety types), wax paper, canvas boards, gesso, oil pastels, chalk pastels, charcoal, drawing pencils, drawing pens, Prisma color markers, and so forth. Craft Supplies: such as yarn, crochet & knitting needles, tag board, markers, string, scissors, tape, glue sticks, glue, scrapbooking materials, jewelry making supplies, precious gemstones. Health Wellness items: such as yoga mats, and sport balls, inside nerf hoop and ball set. Office Space Supplies: such as folders, 20lb white & colored paper reams, cardstock, blank greeting and thank you cards with envelopes, highlighters. 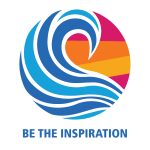 District Governor's Newsletter - Welcome to Rotary Foundation Month! What is the Rotary Foundation? As a novice Rotarian I was often quite mystified by the The Rotary Foundation. Hearing Rotarians speak about the TRF---- I knew that it was important to who we are as Rotarians----but quite honestly, I just didn’t quite get it. Now I do! Every year, our Club President-Elect, working with the Board of Directors and the Foundation Committee, with input from individual Club members, establishes our fundraising goals for their year as President. The goals include our Club’s support of the Annual Fund and the Polio Plus Fund of The Rotary Foundation. The Charity Navigator report on the Foundation reflects top marks for our Foundation - in fact, it is one of the very highest ranked in the nation, and has been for eleven straight years. Rotarians can place great confidence in the Foundation, which manages and uses our money wisely. You’ll find the Foundation’s financial reports here. This post introduces you to the scope of The Rotary Foundation (TRF) and explains how we as individual Rotarians and as a Club both support it and employits capabilities to further our work. Rotarians are involved in their communities and those around the world. We engage in purely local activities to improve our communities, and we engage in local, district and global activities with the support of The Rotary Foundation. The Rotary Foundation is organized as a public charity operated exclusively for charitable purposes and governed by a Board of Trustees. The mission of The Rotary Foundation of Rotary International is to enable Rotarians to advance world understanding, goodwill, and peace through the improvement of health, the support of education, and the alleviation of poverty. The Foundation is very well-documented, both online and in print. The Annual Report is the single best overview of the Foundation and its global activities. The Rotary Foundation (TRF), as Rotary’s charity arm, is an integral part of Rotary International. The Foundation is a nonprofit corporation supported solely by voluntary contributions from Rotarians and friends of Rotary International who share Rotary's vision of a better world. Individual Rotarians voluntarily donate the majority of funding used to implement the activities of The Rotary Foundation, which disburses over 250 million dollars annually to the causes we Rotarians support. Club dues are not used to support The Rotary Foundation. You’ll find the Foundation’s financial reports here. Your gift to The Rotary Foundation Annual Fund helps Rotary clubs take action today to create positive change in communities at home and around the world. The Foundation uses our contributions to strengthen peace efforts, provide clean water and sanitation, support education, grow local economies, save mothers and children, and fight disease. Find out more here, in the Rotary Annual Report. With a solid 4-star rating from Charity Navigator for the 11th straight year, you can be certain that The Rotary Foundation is a superlative choice for your donation. What Do Rotarians Do? Rotary is an international service organization. We enjoy working with like-minded people all over the world. Our purpose is to bring together community leaders in order to provide humanitarian services, encourage high ethical standards in all vocations, and to take action to advance goodwill and peace. While we meet weekly for fellowship and to learn something new through our regular community presentations, Rotarians are action-oriented individuals most interested in working to improve our communities here at home and around the world. The Four-Way Test is a nonpartisan and nonsectarian ethical guide for Rotarians to use for their personal and professional relationships. It is one of the world’s most widely printed and quoted statements of business ethics and was created in 1932 by Rotarian Herbert J. Taylor (who later served as Rotary International (RI) president) when he was asked to take charge of a company that was facing bankruptcy. During the month of October, Rotarians focus on our global efforts to eradicate the terrifying disease of polio. In fact, today is World Polio Day, and, not coincidentally, the birthday of polio vaccine developer Jonas Salk's birthday. The Rotary Club of East Jefferson County meets on Thursdays at noon at the Tri-Area Community Center, 10 West Valley Road, Chimacum WA, on Washington’s beautiful Olympic Peninsula. Club members are well-known for our community engagement and our long tradition of welcoming guests and those interested in Rotary. Do You Have Ideas for Global Grants? Do you have an idea or suggestion for a global grant? If so, John Barrett, Chair of the Club’s International Service Committee, would like to hear from you. The purpose of the Neighborhood Preparedness (NPREP) Action Group is to help neighbors organize so that they may work together when a disaster occurs, thereby enhancing the safety and comfort of all in difficult times. This story provides links and resources for Rotarians and others interested in enhancing their neighborhood readiness to surmount a disaster. Our Polio Plus goal this Rotary Year is for each of us to donate at least $26.50 to the Polio Plus program. With 59 members, this would mean we would donate a total of $1,563.50. Our individual goal for Polio Plus donations this Rotary Year is $26.50 . The Avenues of Service are part of the Guiding Principles of Rotary, which include the Object of Rotary, and the 4-Way Test. The Pot of Gold is one of the three major fundraisers managed by the Club on an annual basis. We use the money, after paying the raffle winners, to support our scholarship program and local projects. Club Rotarians will set up a Shelterbox tent and supplies at the Community Picnic at H.J. Carroll County Park Sunday, August 19th, 2018, under the direction of Rotarian Tim Jablonski. The Club supports efforts by the Chimacum High School Interact club to purchase and donate a Shelterbox tent and supplies each year. I had been aware of Rotary for many years and had been approached by several friends over those years to consider joining Rotary. 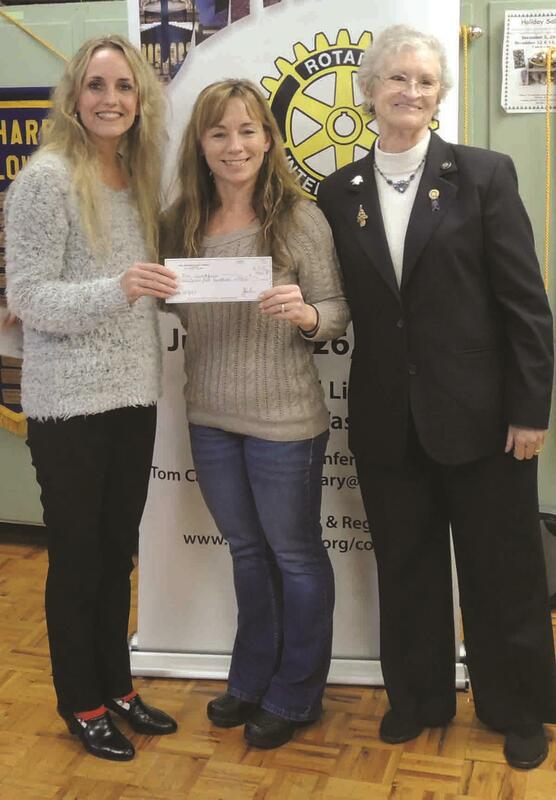 Karen Griffith, a past president of the East Jefferson County Rotary Club, and Chair of the Club's Local Grant Committee, recently announced the award of several grants to local groups. The Club’s Long Range Plan Committee, a standing committee per our Club’s Bylaws, is chaired by Immediate Past President Terry Umbreit. New Generations Service Exchange is a short-term, customizable program for university students and young professionals. For over 100 years, the Rotary Foundation has been supporting Rotarians’ work to create sustainable solutions to our world’s most pressing needs. This year, the Hadlock Block Party is scheduled to be held Saturday, August 4th, 2018. The Object of Rotary is to encourage and foster the ideal of service as a basis of worthy enterprise. Rotarians consider the Object of Rotary to have four parts - first, acquaintance, which we considered last week; second, high ethical standards; third, the application of the ideal of service; and, fourth, the advancement of international understanding through a world fellowship of Rotarians united in the ideal of service. 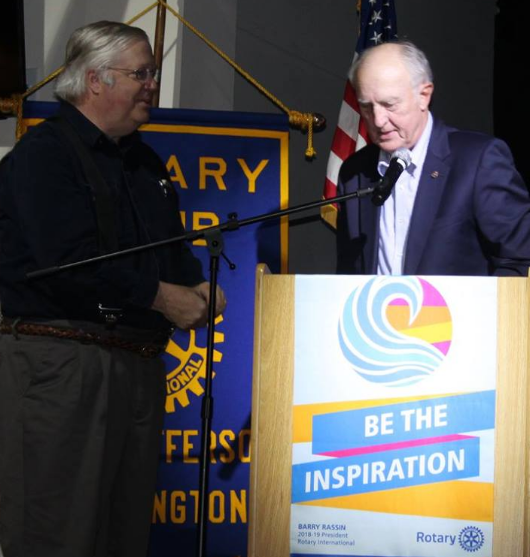 We are honored to have the opportunity to meet with our Rotary District Governor, Craig Gillis, at noon on Tuesday, July 10th, 2018 at the Commons on Fort Worden State Park in Port Townsend WA. Craig's biography and introductory message to us as District Governor follow. Assuming you have clicked here and download the ClubRunner (CR) APP onto your cell phone or tablet, click on “Club Members” (in the APP) and count how many members have a picture of themselves and how many do not. When you have the two numbers, add your comment (below) with the two numbers. If you are the first AND you give the correct count, I will give you five (5) free SCAM tickets for the SCAM drawing. The next person who adds a comment with the two correct numbers will get four (4) free SCAM tickets; the next person will get three (3), the next person will get two (2) and all the rest who add a comment with the two correct numbers will get one (1) free SCAM ticket. Click here if you want to learn how to have your photo appear next to your name. I joined the East Jefferson Rotary club around fall of 1997, when I first established my business in Port Hadlock, after many years of encouragement from a fellow CHS alum, Nancy McConaghy. This was not my first Rotary experience, as I had been part of the group initiating a new club in West Chester, OH in 1991 or 92, just after women were first allowed to be members. At that time, I had been looking for a service club that accepted women members, but the local Chamber of Commerce was the only such option to be found! I kept a pretty low profile for many years, but enjoyed participating in the Ritz activities, including baking Holiday Pies for the auction and working the hospitality tables there, and serving on the road clean-up crews. I have been pleased to contribute to Polio Plus and the water project in Thailand, and to local activities. I was in the group who traveled to Thailand for the dedication of that project. I had to take a leave of absence for four years (2010-14) due to employment in Clallam County and my mother's last illness, but was welcomed back when those situations resolved, four years ago. Since then, I have served as one of the Rotary mentors to the CHS Interact Club, and on the Foundation and Communication/Publicity Committees. Tags make it easy to find stories. If the option is set, comments permit readers to interact with the writer. If you like a story, click on the Star at the bottom of the Story. Rotary brings together a global network of volunteers who dedicate their time and talent to work together to tackle the world’s most pressing humanitarian challenges. I'd like to use this space to develop a Story about the early years of our Club. I'll use this Facebook post (click on the "+12" image) by Pete Leenhouts about John Barrett's presentation on 6/21/2018. Becoming a Rotary Benefactor is quite simple. A Benefactor is an individual who informs The Rotary Foundation that they have provided for the Foundation in their estate plan, or who makes an outright gift of $1,000 or more to the Endowment Fund. The Rotary Foundation has a top-notch reputation for careful and judicious stewardship of our funds. See the Foundation’s Charity Navigator rating, here. Obtain details about becoming a Benefactor from our Planned Giving point of contact, Jack Zalaha, or the Foundation Committee Chair, Pete Leenhouts. Click here to view some photos of our Interact Year End Party. The family-friendly Hadlock Block Party will be held on Saturday, August 5th. The block party begins at 11am and ends at 7pm, and will feature a parade, community picture, car show, vendors and activities, and music. The Rotary Club of East Jefferson County is coordinating the parade, and is accepting parade applications through Tuesday, August 1st, 2017. The parade will begin at 11am at Church Street and proceed through the center of downtown Port Hadlock, ending at Christney Street, just west of Ferino’s Pizza. A Community Photo, to be taken at the traffic light at the corner of Ness’ Corner Road and Chimacum Road, will immediately follow the conclusion of the parade. And, Ferino’s Pizza will host the Show & Shine car show following the parade, plus a beer garden noon-4 pm. Vendors and activities will be found throughout Port Hadlock along Ness Corner Road (WA-116) from Hadlock Building Supply to the Kively Center, offering food and other items for sale from 11am – 4pm. Chuck and Karen Russell’s Valley Tavern will host a Keg Toss at 1:30pm, and then close out the evening with a performance by the well-known Dukes of Dabob, starting at 6pm. Neighborhood newcomer, the Old Alcohol Plant Hotel and Restaurant will host a Tailgate Party from 4-7pm in their parking lot, including a Mustang Car Show, beer garden and barbecue, and a musical performance by One-Egg Night. Check out www.hadlockblockparty.com for the full list of sponsors and vendors, the parade and vendor signup, and the timeline of activities for August 5th. You can also “like” Hadlock Block Party on Facebook for updates up to and throughout the event. Last year (2016), several members of the three Rotary clubs (website) (East Jefferson County, Port Townsend (Noon) and Port Townsend Sunrise Club) joined together with ShelterBox to support the 4th Annual All County Picnic (link) in “CELEBRATING EMERGENCY PREPAREDNESS AND COMMUNITY RESILIENCE”. Visit the NPREP Team’s "Organized Neighborhoods - Best Practices" booth. Click http://bit.ly/l2020-acp to see what we will offer. Come join us again on August 20, 2017. PDN article about Jack Randall's Heart of Service award. The Board approved a phased 1-3 year plan to add “County” to our Club’s name (where it is missing) and “c” (to “ej” so it reads www.ejcrotary.club) to our Club’s domain name to promote a consistent use of the acronym “EJC” or EJCRC”. New guest pens and new stationary have been ordered and will reflect this change. Over the next few years, all references to (www. )ejrotary.club will be changed to (www.)ejcrotary.club. NOTE: Old guest pens and stationary and any posts, articles, etc. containing the link www.ejrotary.club no longer works. Use "www.ejcrotary.club" or "ejrotary.club". Click here to view the PDN article about the award winners including our own Olivia Ejde. The project is fueled by a $530,000 grant consisting of equal funding from the TRF (The Rotary Foundation) grant and a one for one match by World Vision. The scope of the project includes drilling deepwater wells in 23 communities in Eastern Honduras, providing health and sanitation trainings for the populations, VIP latrine installation – one in each community near schools or community centers – electrified pumps for the wells and water distribution for the inhabitants. Approximately 11,700 people will be helped with this project and the populations of the communities are growing so the beneficiaries should increase with time. Chimacum high school Interact club pumpkin painting on October 13, 2015, we have participated in a fun pumpkin painting with the students (L-R) Kristopher Andrews, Sean Noble, Chanakan Meesanam, Deidra Morris, Jordyn Johnson, Emily Amos, Cora Wills, and David Kraut. All of the students enjoyed talking with the residents while painting with them as well. The Interact club loves to socialize in the community and have fun at the same time. In the fall of 2002, Jefferson County Park & Recreation Department, through its community planning process had developed a plan for a Pavilion to be located at HJ Carroll Park. The plan at that time envisioned a core structure and two supporting units. Garry Rowe, an EJR member, and co-director of the County Administration Dept. presented the plan to the club and asked for support. Catalina "Cata" Lima - our exchange student from Penaflor, Chile - has arrived. Welcome, Cata! Click to view Cata's home in Penaflor, Chile. A week ago, I outlined my goals as Club President, presenting them to the Club during the Assembly as a Rotary Call to Action. The active participation and contribution of each of us, not only as individuals, but, very importantly, as members of our club’s committees, are what will enable us, as a club, to make strong progress towards those goals. At the two most recent Club meetings, we’ve reviewed our Club’s committee structure. While there may remain a few additions to the list below, I think I’ve managed to capture all of the committees (and major activities) which make up that part of our Club. Committees are really the heart of the Club, and should be the core of planning and accomplishment within the Club. This well written New Yorker article http://www.newyorker.com/magazine/2015/07/20/the-really-big-one about the potential for a disastrous 9.0 mega-thrust earthquake along the Cascadia Subduction Zone (that is only 50 miles off our west coast) will scare you. Most of us will not survive it. Have you had "that" conversation with your grown children? You know, the one where you talk about the reality of your dying? The one where you want them to understand what you want done or don't want done when you are at the end of your life? The one where you ask them to support your end of life wishes, even when they are not ready to let you go? Welcome to the Officer Installation Meeting of the EJRC. Use of technology – website richer by a large margin, using tech for lunch meetings and board meetings. My name is Joachim Vandborg Lundø and I am 15 years old. I live in Horsens close to the inlet. Here I live with my parents. My mothers name is Pia, she is 49 years old and she work in a bank. My fathers name is Arne, and he is 50 years old and he’s work is, that he buy, sale and rent out apartments in Horsens and Vejle. I have also an older sister, named Camilla, and she is 19 years old. She work in a clothing store for children between 8 and 16. Ray Serebrin was born in Winnipeg Manitoba and emigrated to the US at an early age. He has lived in the Puget Sound area since then, moving to a small farm in Kitsap County with his wife and daughter in 1982. The Interact Board for 2014-15 and 2015-16. The Interact Board: two for 2014-15 and six for 2015-16. Rian and Taylor are graduating Seniors. Congratulations! We wish you the best. Four wells are completed, along with health and sanitation training for those communities leaving 19 to go. Hopefully they will proceed at a regular pace. Chuck Boggs, Chairman of the Scholarship Committee announced the following scholarship recipients today at our luncheon. Sage Brennan $3000 including $1000 for the Cloudy Beyer Endowment; Audrey Mason $1000; Triston Williams $1000; Ceare Williams $1000; John William Carthum &1500; Alyssa Hamilton $1000; Chris Belmont $2000; Levi Clum $1500; Rian Plastow $1500; Makenzie Richey $1000; Colton Shaw $2750; Orion Weller $2750; Taylor Van Ness $1000. All except Ceare Williams, Audrey Mason and Triston Williams are from the Chimacum Hgh School, Taylor Van Ness is home schooled thru Chimacum. Click here to view the 2015 award described in the PDN. America's PrepareAthon! is an opportunity for individuals, organizations, and communities to prepare for specific hazards through drills, group discussions, and exercises. Click here to read more. "Today is America’s National Day of Action, which reminds us all to take a moment to make sure we are prepared in times of emergency." On May 7th, I will highlight elements of the technology we are using for our club like our club website, ClubRunner, Google Docs, eBulletins, Facebook and Flickr. Increasing our knowledge and experience in the use of these digital tools will help each of us to connect, collaborate and communicate with each other, our community and future Rotarians more efficiently and more effectively. Click this link to review the demo and what you should do to prepare for it. The Jefferson County Robotics team has qualified for a national competition in St. Louis. Click here to read the PT Leader article. assembly on the Shelter Box Project, April 22nd. NOTE: the program starts at 9:30...ALL VISITORS MUST SIGN IN AT THE OFFICE before they go to the auditorium. Scott Robinson & Tom Schaafsma from Sequim Sunrise Rotary will be showing a video about the Shelter Box Project and talking about their experiences with the Shelter Box Project in disaster areas. The Interactors will be setting up a Shelter Box tent on stage and displaying the items included in the Box. This "kicks off" the Interact Club's fund raising campaign. Chimacum Schools Superintendent and Rotary member, Rich Stewart introduced the students to the Rotarians. Please click on this link (login will be required) to to learn how to add or update your photo and any personal information for the next version of Bud's Directory. At some point in time, you were a new member in our club and I’m sure that you - like I and others - wanted to learn more about your fellow Rotarians. I just created our first eBulletin. I'll add this "Story" to the top of it. Please click "Read more" to read my request for your help in sending me content (Stories). March 28th, 2015 – Centralia WA. Click here to view "The TOP 10 Rotary myths revealed". First place ($10,000) Pot of Gold winner. We enjoyed an excellent update on Habitat for Humanity activities in our communities from Executive Director Jamie Maciejewski and new home owner Keidren Devas during today's meeting. Check out the video made of Habitat's work in Quilcine! Winners of the Club’s $10,000 “Pot of Gold” raffle. Chimacum, March 5th, 2015. East Jefferson County (EJC) Rotary President Ned Luce announced today the winners of the Club’s $10,000 “Pot of Gold” raffle. At the regular monthly Board meeting on February 25, 2015, the Board of your club took two significant actions. Pete Hubbard gave a presentation today about Nextdoor (ND) and the ND City Agency Partnership program. See "Home Page Download Files" in the right sidebar, or click here to download the PPT. The following officers were unanimously elected to the East Jefferson Rotary Club. Stolen flags - What happened? This EJRC “Story” will chronicle what happened since the 13 American flags were stolen in Port Ludlow over the Veterans Day holiday. It will include links to several media source. 11/19 at 3:00 AM - Ned Luce (our EJ Rotary Club President) reported the flags stolen in his regular weekly “life in ludlow” PTLeader article. (Link) Then he sent the following note to our 60 fellow Rotarians. Exchange with District 9685 Australia. This RFE will see the District 9685 RFE Team visit District 5020 from June 1 to 18, 2015. Our outbound team will be in District 9685 November 2 to 20, 2015. Here is a video of the Chimacum High School Band in Pearl Harbor. Click this link to view a Google search. Click here to view todays article from the PDN. If you information to help us recover the flags or would like help in any other way, please contact Ned Luce (President of East Jeffersoron County Rotary) at his cell phone of 1-360-774-0042. Thank you! Whitney Meissner posted info about our American flags being stolen over Veterans Day on Facebook and it prompted an inquiry from the Peninsula Daily News. She provided information and pictures to the paper and a BIG article about our club and our flags is on the front page of today's paper. The article highlights the program and what we do with the funds collected as well as solicits help in getting the flags back. Whitney did a great job getting the word out on behalf of our club and the flag program! Thanks to her and all those helping on the flag program. Click here to view the PDN article. Orders are due by Wednesday, December 3rd, with delivery that week. The Interact Club is bringing Santa Claus to the Chimacum Arts & Craft on December 13th & 14th, 10 a.m. to 4 p.m.
Have your photo (family & pets too) taken with Santa for only $5.00 by the Chimacum High School's Interact Club, sponsored by the Rotary Club of East Jefferson County. The high quality photos will be available in minutes and come with a complimentary card frame and envelope. All your contributions will be sent to international projects: a rural school in Thailand for computers and to provide assistance in maintaining a water purification system; the Heifer Project, which helps families in poor countries to improve their nutrition and generate income; and the Shelter Box Project, which provides shelter and supplies to sustain families in disaster areas around the world. Myron Vogt spoke at our luncheon on 11/13. Hello. We've been organized as a Bluebill chapter since 1998. Our objectives are to improve the lives of the people in the communities we serve and to provide volunteer and social opportunities for retirees on the Olympic Peninsula. Our chapter has a number of programs that serve the communities. Click here to read about the Olympic Chapter of the Bluebills. Here are just 7 of the 89 flags that were installed by our Rotarians for Veterans Day in Port Hadlock. Click here to read more about this project that provides funds to local scholarships. I want to start by saying thank you for checking in on me. I was meaning to write to you and Pat sometime soon, but like you guessed, I’ve been using most, if not all of my waking hours here getting myself acclimated. In other words, I’ve been keeping myself quite busy during my time here so far! It was a bit of a shaky start right before I boarded my plane in Seattle, but once I was in the air and on my way to Spain things started to feel like they were lining up very nicely. All three of my flights went through without any delays, and after 24 hours of travelling I had finally landed in Spain and was greeted by host family with open arms. Top 20 Reasons to Join Rotary! Click here to view the list of "Top 20 Reasons to Join Rotary!" that was posted by Alfredo Anile on the website of the Rotary Club of Skokie Valley. Hi, my name is Whitney Meissner. I joined the East Jefferson Rotary Club in September of 2014. My classification is “High School Principal”, a role I have served for Chimacum High School since 2006. At long last, after much angst and struggle, Rotary funds for our grant have been transferred to the TWM (Texas Water Mission) well drilling partner and the first well is actually being dug in Rio Azul. I believe work began two days ago and the training sessions are already starting with very strong attendance reported. The moneys transferred amount to 50% of the cost of the first three community segments. Wire transfer was used for the transfer of the funds and I am hoping the difficulties encountered for the first transfer will serve as a road map that will ensure the future transfers will go smoothly and in a timely fashion. For those wonderful people who purchased airline tickets for the cancelled site visit last February, I can tell you that the partners are working to reschedule the visit as soon as practical but they want very much to make sure it will go without a glitch so are proceeding cautiously. They and I will keep you posted. Thank you for your support and for your great patience. It has been a long time coming but it really feels good to know that the people in these communities will finally be realizing the promised benefit of your contributions. Please share my excitement and heartfelt thanks with your respective clubs. The Rotary Club of East Jefferson County honored Senior Class Co-Presidents, Alyssa Hamilton & Kiersten Snyder. Both were nominated for their outstanding leadership, citizenship, caring, responsibility, respect, honesty, fairness and academics. The seniors were introduced by Superintendent of Chimacum School District, Rich Stewart, and were awarded certificates of achievement by the President of the Rotary Club of East Jefferson County, Ned Luce . Alyssa Hamilton, daughter of Natalie Hamilton, plans to attend a four-year college to obtain a Bachelor’s Degree in the medical field. She has been involved in community service: Coaching Mini Cheerleaders & Santa’s elf at JEFCO Hospital. She has been greatly involved in volleyball, cheer leading, marching band, playing the alto saxophone, & track. She loves sports and being with friends & family. Kiersten Snyder, daughter of Scott & Mary Jeanne Snyder, plans to attend community college and then transfer to a four-year college to obtain a Bachelor’s Degree in Dental Health. Her community service as been coaching Mini Cheerleaders & Mini Girls’ Basketball. She loves sports, taking care of animals and working on her car. Ken Dane spoke to us on 9/1/2104 about ECHHO. Click here to view his presentation. Ken came to Port Townsend from Seattle in 2006 after a career that included executive experience in computer technology and experience in the travel and medical assistance industry working with American Express, fortune 1000 companies and the Seattle fishing fleet. He worked with OlyCAP as Director of Development for several years and joined ECHHO in 2012. He credits his appreciation for ECHHO to his experience in the assistance business. Ken is a frequent volunteer, having served several years on the Port Townsend Public Library Advisory Board, washing dishes at the Senior Meals Program at the Port Townsend Rec Center and serving on the Board of The Boiler Room. We will be honoring two Seniors of the Month for September on September 25th at the Rotary Luncheon. They are the two co-presidents of the senior class: Alyssa Hamilton and Kiersten Snyder. They will be introduced by Rich Stewart, Superintendent of Chimacum Schools. Ned Luce as President will present them with certificates and $15 gift certificates for Quimper Sound. Click here to join the other 249 members of the Rotary Discussion Group "USING SOCIAL MEDIA IN ROTARY CLUBS​". See our two Facebook pages at ​EJRC Facebook Group and ​EJRC Facebook Page. Attend my luncheon presentation on October 9th where I will talk about an exciting new private, social network for neighborhoods called Nextdoor and the Nextdoor "City" program. It is very likely that you will want to edit your story after you have published it. It may take a few minutes to set it up, by there is a VERY easy way for you to do that. Click here to go to the "Use the "(Src)" link to quickly edit your story" story, go to the bottom left, click on the “(Src)” link and see how it takes you directly to the ClubRunner story to edit it. You will have to log into ClubRunner. Hit your “Ctrl/Cmnd” key and your “V” key to paste the URL (that is in your clipboard) into the link box in the popup - then click on “Apply”. After you saved your story and gone to Stories to look at it, click on your hyperlinked “Src” to make sure it takes you back to CR to edit your story. Bud's revised Directory is available. Check out the bottom of page 16 and page 22. See Pete Hubbard at future luncheons to get your copy. I'll never forget when I joined Rotary because it was the Tuesday after 9/11. It was Club 24 in Salt Lake City and I had spent the previous week stranded at the Miami airport! I soon got busy in Rotary with the huge Education Committee. We tutored 6th graders at an inner city school every week after our meeting. We distributed dictionaries to every 3rd grader in the Salt Lake Valley, we provided Christmas for 25 families, and we took all the 6 graders to the Hogle Zoo every May. So when I moved up to Port Ludlow , naturally I thought I would join the club up here which I did in January of 2011. Not long after joining East Jefferson Rotary I was President-Elect Nominee. I got involved in most of the activities of this club, selling roses, selling raffle tickets, doing road-clean-up, putting up flags. Two years ago I got involved in Mutt Strut and that kept me busy. I enjoyed a year as Club President in 2013-2014. I joined the East Jefferson Rotary club in March of 2009. I was in the club about 42 nanoseconds when I was asked to co-chair the Hadlock Days Parade, which I did for 4 years. I served as Secretary for the club for RI years 2011-2012 thru 2013-2014. I then became president. Click here to view the speech I gave at the EJRC Induction on June 27th. I joined Rotary in the fall of 2012 at the invitation of Bob Peden. My contribution to Rotary has included: street clean-up; assisting with Port Ludlow Days and being a Greeter. I recently sponsored Ron McClung as a new member. I was born in Central OR in 1926. I graduated from Hillsboro Union High School and the University of Washington with a major in accounting. I married Edith and she provided me with two daughters, Sharon and Pam. We have four grandsons and three granddaughters. I worked for: the Doctors Hospital, Seattle; Harborview Medical Center; and retired from the Boeing Co. We moved to Port Ludlow after retirement. I started the Olympic Peninsula Chapter of the Boeing Bluebills and have the title of Chairman Emeritus. I have served on the boards of: Habitat for Humanity; Evangelical Christian Helping Hands Organization (ECHHO); Jefferson Mental Health Service and UGN. I currently am active in the Peace Lutheran Fellowship, as Coordinator for Citizens for Safe Students, located in Port Ludlow. Click here to view a PTLeader.com article about our Mutt Strut. Here are all the reports that my hosting rotary in Poland had us write. I would also love to give a presentation at rotary some time if it works. Let me know what you think. September: To start september, I had the opportunity to visit Prague. It was a beautiful city with a lot of history. i absolutely loved it! Also on that trip I was able to hike part of the Polish Mountains. It was a beautiful hike and the nature reminded me of home. I cant wait to ski there in winter! Once school started, things became a little more interesting. Polish started to make more sense since I was listening to it all the time, and I began the hard task of making friends. School was enjoyable but VERY boring and at some points it was hard to pay attention. This EJRC Story will describe how we will choose www.ejrotary.club as our new, shorter, more meaningful name for the domain link to our EJ Rotary Club website. 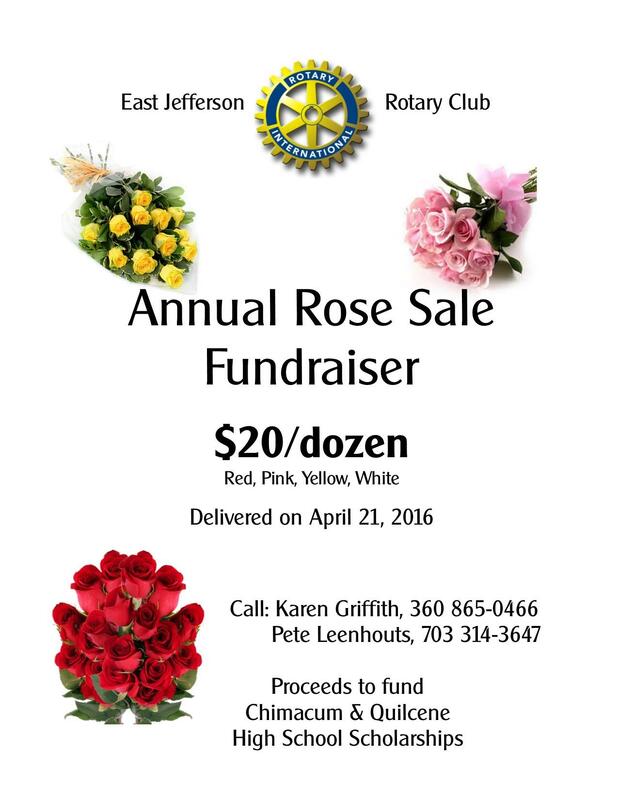 and the Rotary Club of East Jefferson County link at the bottom of all CR emails. But each of the above names are either too long or not easy to remember. or many other combinations using .com, .org., .info, etc.. Readers completed a one question survey to either select one of four suggested domain names or to suggest one that is not listed. The results are located at this link https://www.surveymonkey.com/results/SM-W5QQR3R8/​ . I closed the poll on Saturday night at 5 pm. The results were. I want to thank you for helping us to select www.ejrotary.club as the new domain name for our EJRC website. On Wednesday, 7/23/2014, the Board authorized me to purchase www.ejrotary.club as our new domain name. It is now active. So now you can type either www.ejrotary.club or ejrotary.club or portal.clubrunner.ca/705/​ or www.bit.ly/ejrotary to get to our website. I've spent close to 40 years serving children & families as teacher, counselor, coach, initiating and administering programs as Executive Director of a community based non-profit in southern New Mexico and then as Organizational Director of Sunfield Waldorf School in Port Hadlock. I'm now serving as a Guardian ad Litem for abused and neglected children in our court system. After a 12 year break, I'm once again officiating basketball for schools in Chimacum, Quilcene and Port Townsend. I did it fore 27 years in New Mexico. 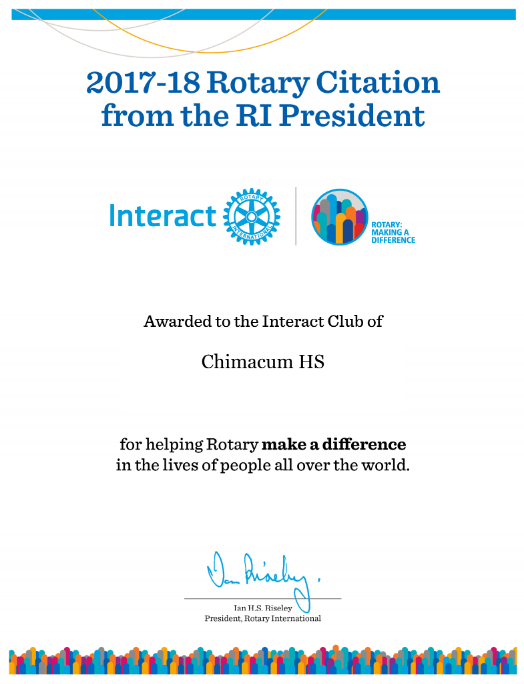 I've been in our Rotary club for 3 years and help coordinate our Interact Club at Chimacum HS, work on the Finance and Scholarship Committees and serve on the Board of Directors. My wife Carol and I have a nutritional supplement business. Our focus is on helping people reverse the downward trend of energy as they age by restoring metabolic fitness. It's working for me as I continually lower my running times and recover from runs more quickly. The Chimacum High School Band has been invited to march in the Pearl Harbor Parade in Hawaii, Dec 7, 2014. SUCH AN HONOR! There are 60 kids in the band who would like to EARN their way! They are ready to work hard! Do you have any yard work, cleaning, pet sitting, window washing, etc. that you'd like off your chore list? Suggested donation is $10/hour per student. Donations to be made to the CBBA (Chimacum Band Booster Association). Let's keep these kids busy! “To line up band labor for miscellaneous tasks, call the team leaders: In Chimacum, Jamie Jensen, 360-732-4745 or Frank Trafton, 360-301-2402; Nordland, Karen Brennan, 360-774-0242; Quilcene/Brinnon, Nikki Brakeman, 360-223-6550; Port Hadlock, Trisha Miller, 360-385-2373, Dawn Crocker, 360-344-2421 or Jacqueline Montgomery 360-301-6896; Port Ludlow, Jeannine Jonsson, 206-250-3463, Tamara Richey, 360-301-9718 or Whitney Meissner 360-316-1088; Port Townsend, Consuelo Brennan, 360-379-2602. “For more information, email Karen Brennan at karenlpbrennan@yahoo.com. Please join me in recognition of the contributions made the past year by Karen Griffith as the President of the East Jefferson Rotary Club. She has met and overcome several personal and club challenges and we appreciate her efforts and dedication as the club has added wonderful new members and ended the year on a firmer financial foundation. To recognize your achievements, Karen, the club would like to present you with this gift. I would like to introduce you to next year’s members of the board. I have learned much from the members of this club in the 5 years I have been in Rotary. I am appreciative to many of you for that and I thought I might highlight a few of the people particularly relevant to the four way test, Rotary’s moral code for personal and business relationships. Yosh (Yoshiki Ishiuchi) - our exchange student - gave us a presentation today. You can view it here. He also gives us his email address so we can stay in touch with him. It is 石内良季 - yoshi.ua1125@gmail.com . In 2011 East Jefferson Rotary was offered two boats as part of an Estate sale. A client of Larry Wiener needed to get rid of two used sail boats, and asked if Rotary might be interested in fixing them up and re-selling them. Larry brought the idea to the club, and the Board decided to undertake the project. The boats consisted of a 24 ft. "pocket Cruiser", and a 13 ft. Cyclone, both on trailers. Dan Newland, a local boat building expert, was brought on-board by John Barrett to assist in determining the condition of the two boats, and developing a plan to conduct the necessary repairs and clean-up. Dan was instrumental in assisting and mentoring our members in the restoration efforts. Several "work parties" involving club members sweat equity were required to clean up and fix up the boats. It is estimated that Dan Newland and club members contributed approximately 100 manhours to this effort. The large boat sold for $5,000, and the small boat recently sold for $700. After subtracting the $250 in materials required, the boat restoration effort netted the club $5,450. Hi, my name is Pete Hubbard. I joined the East Jefferson County Rotary Club on 5/28/2014.at the invitation of Larry Howland. One of my passions (or Rotary "Classification"s) is "Emergency Preparedness Planner". The day after I joined the club, I gave a presentation (Link) about an overview of the Map Your Neighborhood (MYN) program. Please review it and share it with your friends and neighbors to help everyone prepare for a disaster like a 9.0 Cascadia subduction zone megathrust earthquake (lasting several minutes). During the next week or so, I volunteered to become our club’s website administrator. 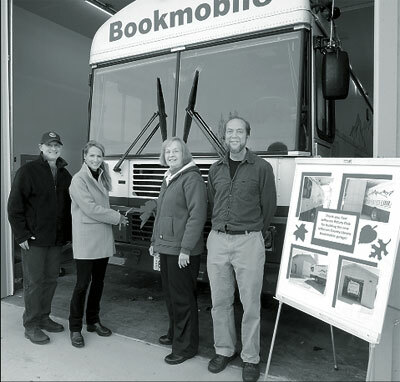 East Jefferson Rotary Club (EJRC) and the Jefferson County Library recently celebrated a successful partner-ship with the dedication of the library’s bookmobile garage, which was constructed by members and friends of EJRC. The project began when Ray Serebrin, then the director of the Jefferson County Library, asked if EJRC could help in the remodeling and expansion of the library to accommodate the community’s growing demand for services and programs. The idea was to build a new garage for the bookmobile, which would allow the library to expand into the former bookmobile garage. EJRC provided more than $15,000 in cash to support this effort and more than $15,000 in volunteer labor constructing the building. Rotary president Karen Griffith said the contribution was one the club was happy to make. What is Rotary and what do they do?